With the 2017 release, AutoCAD moved to a flexible subscription model, making new features available with each release and product update. 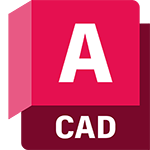 If you have a perpetual licence of AutoCAD 2016 or earlier, here's what's changed in AutoCAD 2017, AutoCAD 2018 and AutoCAD 2019. AutoCAD mobile app: View, create and edit AutoCAD drawings via iOS, Android and Windows devices. DWG™ compare: View and document the differences between 2 versions of a drawing or xref. PDF import: Import geometry (SHX font files, fills, raster images and TrueType text) into a drawing from a PDF. Attach/extract point cloud data: Attach point cloud files acquired by 3D laser scanners or other technologies to use for your designs. Save to web and mobile: Save drawings from your desktop to view and edit on AutoCAD web and mobile apps. High-resolution monitor support: View your designs on 4K- and higher-resolution displays. New views and viewports: Easily add saved views to your layouts. Off-screen selection: Selected objects stay in the selection set, even if you pan or zoom off screen. New feature highlighting: Quickly see what's new in each release. Autodesk desktop app: Get alerts and install software updates without disrupting your workflow. View tutorials about new features. Autodesk support specialists: Schedule a call†, chat on-line (limited availability), or email us. On-line resources: Access our knowledge base for help documentation, tutorials, training videos and community support forums. Access to the latest software: Instantly access the newest releases and updates. Use software anywhere: At home or when travelling. Access preceding versions: Download and use preceding releases. Administrative tools: Easily manage software licences, seats and usage from your Autodesk Account. *Not available to maintenance plan customers. †Available to maintenance plan customers with Advanced Support. Now includes specialised toolsets, the new AutoCAD web app and the AutoCAD mobile app.